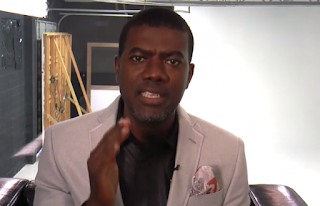 Former Special Assistant to ex-President, Goodluck Jonathan on New Media, Reno Omokri has said the General Overseer of the Redeemed Christian Church of God, Enoch Adeboye was forced to resign by the Financial Reporting Council of Nigeria, FRCN, because he showered accolades on Governor Ayodele Fayose. The former aide said unlike the Vice President who is afraid and keeping mute concerning the development, he is not afraid to declare his support for pastor Adeboye, saying he is a leader Nigeria deserves. He beckoned on Nigerians especially Christians to be united this year more than ever and emulate leaders like Governor Fayose and Pastor Adeboye. He wrote: “Pastor Enoch Adeboye was in Ekiti to praise Governor Ayo Fayose for defending his people from foreign Fulani herdsmen. “The next day, the All Progressives Congress insulted Adeboye in the media. Shortly thereafter, the FRCN forced him to retire as G.O of RCCG. Connect the dots. “Let us not be disunited. If is afraid to say it, I Reno Omokri, am not afraid to say it. I love and respect the Muslim Ummah having read and understood Qur’an, so don’t misunderstand me.